Education is a critical thinking adventure! Everyone is different, and everyone learns differently. The possibilities for this adventure are unlimited. How information is transferred is a stunning enterprise. 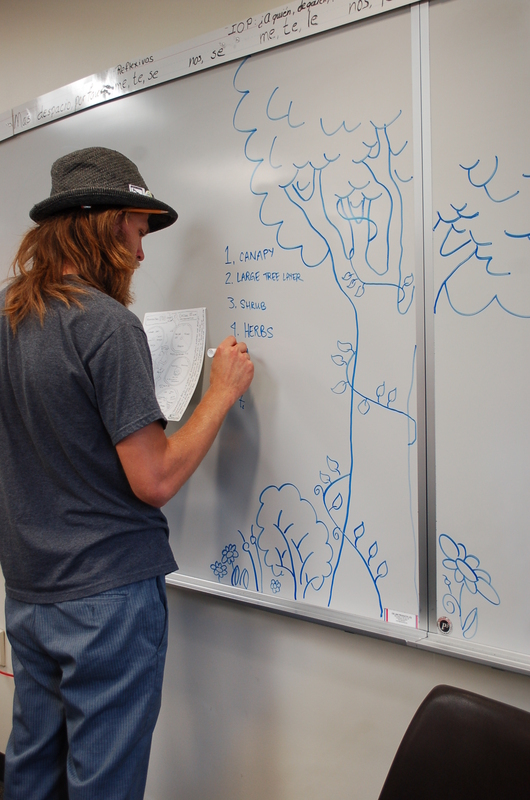 When I learn and teach I always think of being a forest. Forest cycle and transfer vast and complex information across the Earth, and throughout the entire Universe. Most everything we can learn can be observed in a forest through understanding natural patterns. The best education I have received is through observing Nature, and then reflecting on my experience. When observing Nature, I ask myself, can we ever truly think for ourselves? Humans are made up of billions and billions of organisms who all use critical thinking skills to access, analyze, and store data from their physical environments, you!. There are upwards of billions of bacteria living with any given person. Fungus, yeast, Archaea, and viruses all live on, in, and around Human’s bodies. Therefore we make our decisions out of consent of these organisms in the physical reality. I like to think of critical thinking in regards to capacity building and adapting. Life adapts regardless of how well a Human’s memory or ability to improve their mind is. Although, the more we improve our minds along with adapting biologically we can see the fruits of our capacity building enterprises. To think for ourselves, is truly to think for the billions of organism’s that we co-habitat with. And capacity building is an essential part of the education adventure. 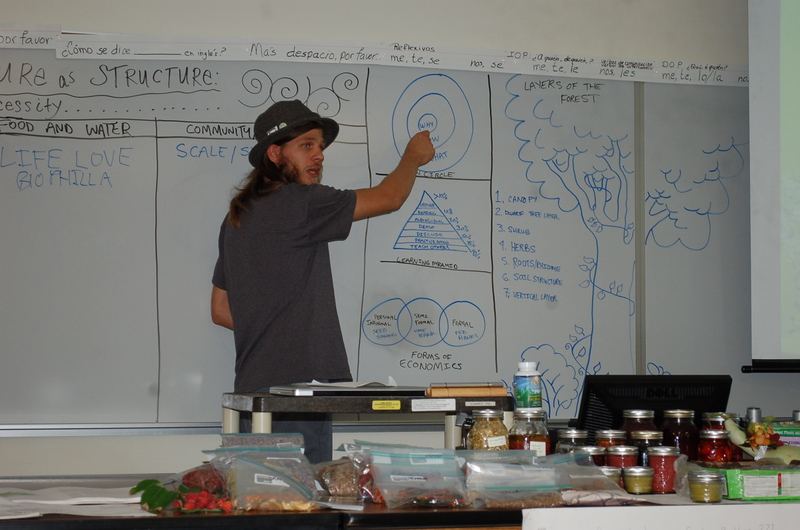 Jesse D. Tack and Travis S. Childs of Aurora Design Solutions will be teaming up with legendary design instructors Larry Santoyo of Earthflow Design Works and the Permaculture Institute USA, and Kieth D. Johnson of Patterns for Abundance and Permaculture Activist to offer a Permaculture Design Course in Detroit Michigan July 22 though August 4th, 2012. Please contact Travis S. Childs at auroradesignsolutions@gmail.com for more information or to sign up for the student waiting list. I feel that Americans are obsessed with the fear of being unhealthy. The fear of being unhealthy cause Americans to go to great lengths to have perceived security for their health thorough insurance programs, fitness clubs, diets, counselors, trainers, magazines, buzz words, vitamin and mineral supplements, pharmaceuticals, and health specialist for every type of aliment imaginable. Orthorexia nervosa is a non-medically recognized term that characterizes people who obsess with avoiding eating perceived unhealthy foods (http://en.wikipedia.org/wiki/Orthorexia_nervosa). Orthorexia is related to anorexia in that it is an unhealthy obsession that becomes dangerous. How often do we hear a person comment on the health quality of a food item? Food at the grocery store is advertised and marketed with health slogans and images. News reports are rampant with stories about nutrition and medical related reports. 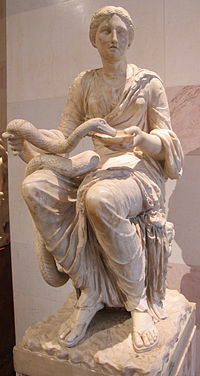 In Greek and Roman mythology, Hygieia (also Hygiea or Hygeia, Greek Ὑγιεία or Ὑγεία, Latin Hygēa or Hygīa), was the goddess of good health, and a daughter of the god of medicine, Asclepius (http://en.wikipedia.org/wiki/Hygieia). Americans are obsessed with good health, as much as they fear being unhealthy. America is an interesting place and it is almost impossible to categorize Americans as one people with one attribute. America is diverse and integrated so complexly that it will be something to talk about for hundreds of years to come. Our health as a people needs to be stable and balanced with the environment. Rather than obsess with the fear of being unhealthy, I hope the American people can find a secure national health program that we carry into generations of the future. Ethical relativism affected my upbringing as a kid. My grandparents picked up the consumer psychology of mass marketing and abided by the messages it taught them. They passed these ideas along to my parents who in turn raised me and my siblings in the same manner. Thus, ethical relativism affected my upbringing as a kid. Consumerism has played a large role in my life, from television to the cereal box. There was a consumer paradise in the days of my youth as we would stroll along the shopping malls, department stores, and fast food chains. We ate junk food and went to the hotel swimming pool for holidays. Everything was okay because my parents never said it wasn’t. Society said it was okay too. Junk food, the swimming pool, all okay, nothing to worry about. Everything was fine back then when I was a kid, as long as the Butterfingers and Little Debbie’s were around. As I got a little bit older my subjective and malleable little brain had new ideas: the chlorine in the swimming pool became noticeable, and that junk food wasn’t satisfying the same desire anymore. It wasn’t as good as it used to be. I’ve physically felt the repercussions from subscribing to the consumer lifestyle can have on a person. Cavities can wreak havoc on ones oral health when they are not cared for properly, resulting in a root canal, fillings, and hours upon hours in a chair with a drill. I now see ethical relativism may have been right there helping to inform new ideas of the right and wrong of junk food, chlorine, or any other behavior I had not thought about critically. Maybe it’s not ok to eat a whole bag of Doritos and chug a 2 liter of Mountain Dew every other day. This experience applies to the health of my family and friends as well. My Mother and father both have hypertension, which is generally associated to diet. Because right and wrong are determined by ethical relativism, what a person’s society believes becomes a major factor in that person’s ethical decision making process. Society often follows blindly the advice of doctors, scientists, business people, politicians and other people in positions of authority. If society is to let them lead the way in determining what is right, their behavior is directly affected by a third party. They are not making decisions for themselves and are rather being manipulated by society’s demands, such as societies demand to vaccinate most all children. Even though most people in the United States are not ethical relativists according to Rosemarie Tong, it seems to me that ethical relativism is a part of many of the other aspects in our lives, like consumerism and health care. Just as Tong states in the opening of chapter two, “ethical theories are plural rather that singular in number is the feeling that, when all said and done, ethics is a very relative or highly subjective practice in all realms of human activity” (Tong, 2007). I think that right and wrong are relative, subjective, and also universal to varying degrees. Everyone has their own opinions and feelings about ethical decisions, and there are many ethical theories that interplay amongst those opinions and feelings. Depending on the person and a whole host of other factors ethical decisions are generally made using some degree or variation of ethical relativism. Tong says “ethics is not a science; it is an art that requires every ounce of moral imagination, emotion, and thought we can muster.” Regardless of whether ethics is an art or science, to me it is like everything else, relative. Tong, R. (2007). New perspectives in healthcare ethics, An interdisciplinary and crosscultural approach. Upper Saddle River, New Jersey: Pearson-Prentice Hall. 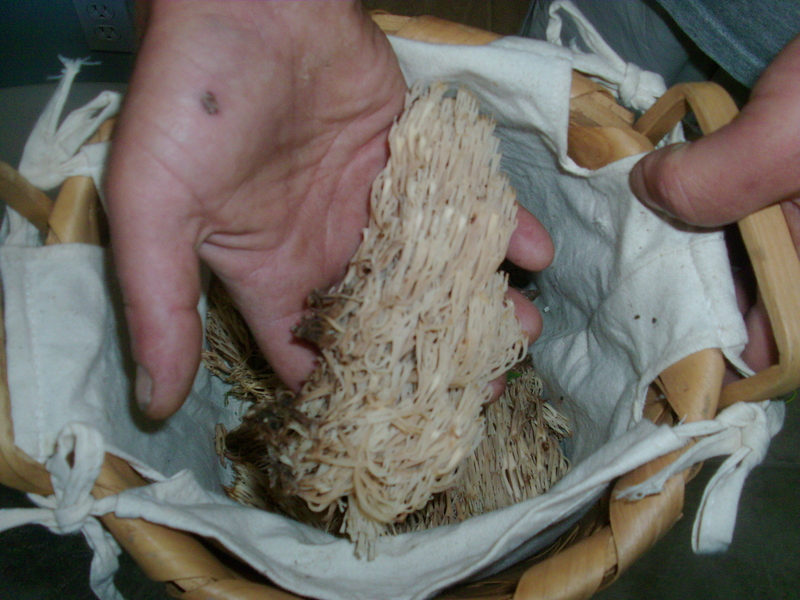 Humans are more related to fungi than any other kingdom of life. What implications does this knowledge have for Bioethics? In my current understanding the definition’s of bioethics are numerous and operate on a broad spectrum. Because I believe there is no such thing as objectivity in science, I think that bioethics, like all science is subjective, therefore it is evolving. Although I feel this way, my feelings are not based on ethics, but rather life experience. Bioethics will evolve and advance as Man evolves, and the sciences and technologies of man advance. So in my current understanding, bioethics is a subjective philosophic science. What bioethics means to me are the value’s placed on life issues, or sciences, and the proper principles and practices associated with those issues. Ethics are at the foundation of what Man should and should not do. By values I am also referring to morals, beliefs, and feelings, although bioethics is not the same as morals, beliefs, or feelings, associated to life issues, or life sciences. Bioethics is relevant or related to all sciences, technologies, and biological issues on earth, or in the universe. This is because everything in the universe is related on a quantum scale. In the contemporary sense of the word bioethics are the study of ethical issues in the biological sciences and medical related fields that may be controversial or considered to be a new technology that has yet to be regulated. Often new technologies advance through science faster than social, political, or economic regulations, policies, and long term research data can be applied. I would like to see the conversation around bioethics advance beyond contemporary medical and technological issues, such as biotechnology, nanotechnology, or abortion procedures, and move into more conceptual fields such as biophillia, technophillia, biognosis, telegony, biogenesis, and immortality. In much more contemporary fields I would like to see bioethics reach the fields of resource development and use, community development, industrial/automated application and ecological manufacturing, and even consumerism as these things affect and have consequences to life for all living organisms, especially humans. Meeting at the crossroads of ecology and social justice, the Bioneers are engaged citizens from all walks of life who focus on solving our most urgent problems within a framework of interdependence: It is all connected. Taking care of nature means taking care of people — and taking care of people means taking care of nature. Bioneers take a “solve-the-whole-problem” approach that is holistic, systemic, and multidisciplinary. Bioneer (root:”biological pioneer”) is a neologism coined by filmmaker, author, and eco-activist Kenny Ausubel. According to Utne Reader, a bioneer is “a biological pioneer, an ecological inventor who’s got an elegant and often simple set of solutions for environmental conundrums.” As coined by Ausubel, the term describes individuals and groups working in diverse disciplines who have crafted creative solutions to various environmental and socio-cultural problems rooted and shared core values, including whole systems, (antiparticipatory) thinking, a view of all life as interdependent, and sustainable mutual aid. The great use of the term since its coinage has been in relation to the annual Bioneer conference founded by Ausubel and held annually in San Rafael, California. The Great Lakes Bioneers Conference is held annually in Traverse City, MI. National speakers from the Big Bioneers Conference in San Rafael are beamed in by live satelite broadcast to our local GLB Conference. 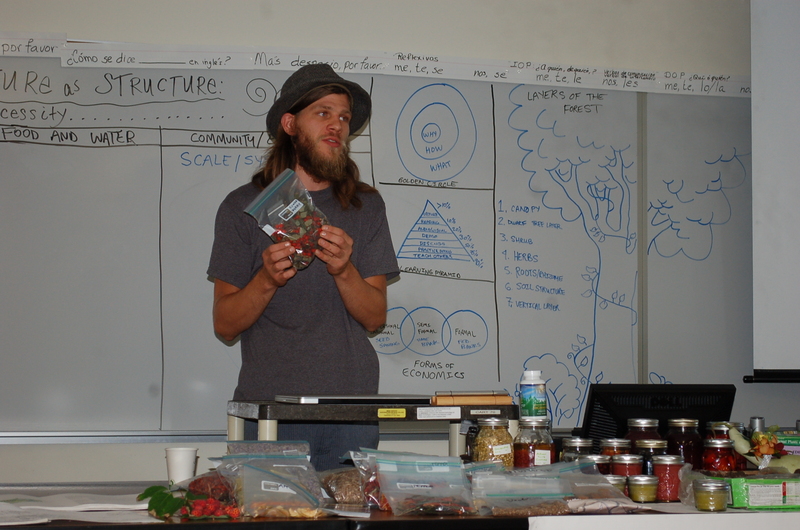 Great Lakes Bioneers hosts local workshops, keynote speakers, vendors, food and much more. It is an opportunity to unite with like-minded community members and gather information and inspiration to carry throughout the year. Terrified or Glorified? Do We Fear Robots?